1. Promoting research and scientific endeavor in the field. 2. 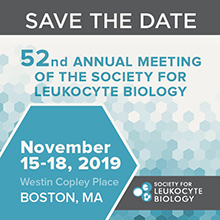 Promoting the study of leukocyte biology by young investigators. 3. Promoting the field to a wide audience, including other scientists and people interested in science. 4. 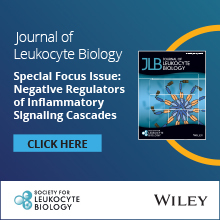 Promoting and extending current understanding of the importance of leukocyte biology, particularly in regard to the physiology of these cells and their relationship to the immune system. 5. Promoting education and further understanding of leukocytes' importance in disease and their application to biotechnology. SLB is a diverse community of like minded researchers and clinicians focused on the field of immunology and all it's implications, applications, and practices. Consider joining the society and learn more about the benefits and community resources.